The Stoclet House is an outstanding testimony to the creative genius of the Wiener Werkstätte. 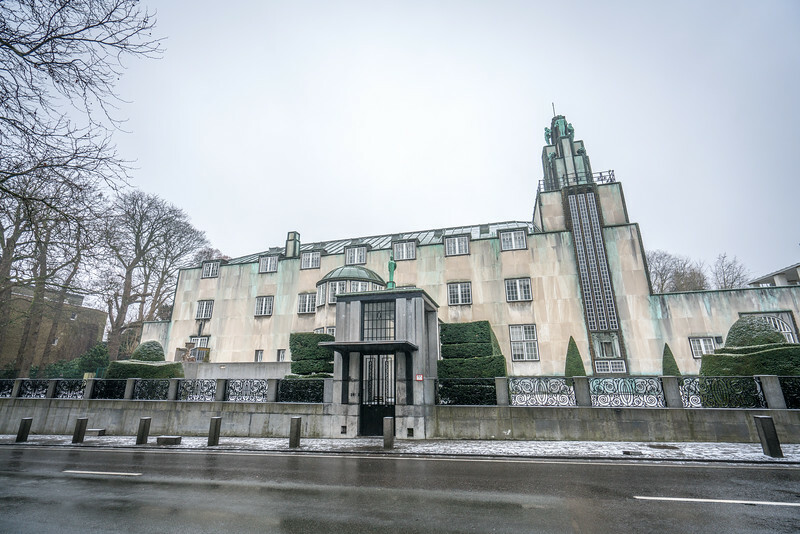 It was designed and built in Brussels from 1905 to 1911 by one of the founders of the movement, the Austrian architect Josef Hoffmann, of whose work it is the masterpiece. The Vienna Secession movement bears witness to a profound conceptual and stylistic renewal of Art Nouveau. Ever since its creation the Stoclet House has been and remains one of the most consummate and emblematic realizations of this artistic movement, characterizing the aesthetic research and renewal of architecture and decoration in the west at the start of the 20th century. The Stoclet House decoration was the work of a very large number of artists from the Wiener Werkstätte, including Koloman Moser, Gustav Klimt, Frantz Metzner, Richard Luksch, and Michael Powolny. They worked under the guidance of Hoffmann to achieve a Gesamtkunstwerk (‘total work of art’), which is expressed simultaneously in every dimension – interior and exterior architecture, decoration, furniture, functional objects, and the gardens and their flower beds. From its creation, the House inspired many architects in Belgium and other countries. It heralded Art Deco and the Modern Movement in architecture. It bears witness to the influence of the Vienna Secession, and the dissemination of its ideas in Europe at the start of the 20th century. It bears witness to a monument of outstanding aesthetic quality and richness, intended as an ideal expression of the arts. A veritable icon of the birth of modernism and its quest for values, its state of preservation and conservation are remarkable. Of all the world heritage sites I have visited, the Stoclet House might be the most disappointing in that you can’t actually visit it. The Stoclet House is privately owned and no visitors are allowed. None. Nada. I tried pulling strings and there were no exceptions. The best you can do is stand outside the building and see the exterior. What is even more disappointing is that the street facing view isn’t even the formal facade. That faces the back garden, so you can’t even see the best parts of the house from the street. No one has actually lived in the house since 2002, just two caretakers. No one has been allowed inside except for one small group of friends of the granddaughter of Adolphe Stoclet in 2013. You can read about that trip inside the Stoclet House here as well as see some images of the interior. 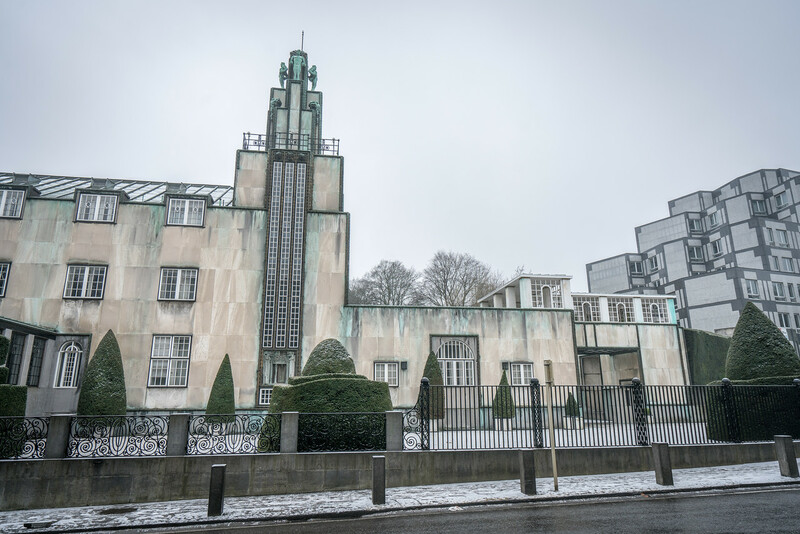 I have been told that talks are underway to either transfer ownership of the house to the Belgian government, or to open it to the public, but as of 2017 nothing has been done yet. The interior looks amazing and I hope the world will be able to appreciate it at some point in the near future. The Stoclet House is located near the intersection of Avenue de Tervueren and Avenue L’Gribaumont in Brussels. It is easily accessible by taxi from anywhere in Brussels. The Stoclet House is a cultural UNESCO World Heritage Site. It is a private mansion that was inscribed into the UNESCO list in 2009. This private residence is a work of Architect Josef Hoffman and Wiener Werkstatte. It was built from 1905 to 1911. The Stoclet House is located in the city of Brussels in Belgium. It is considered one of Hoffman’s masterpieces due to the luxurious and refined design of the house. 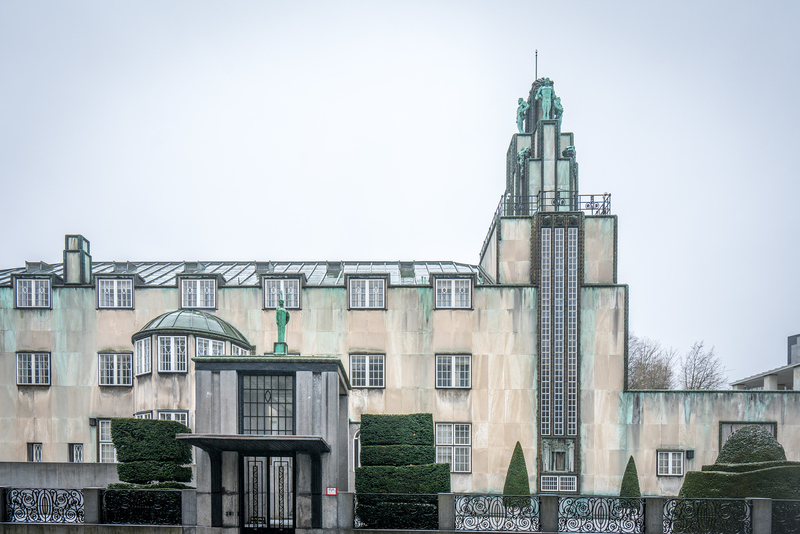 It is considered as one of the grandest designs of the 20th century in Belgium. The Stoclet House, also known as The Stoclet Palace, was commissioned for by Adolphe Stoclet. Stoclet is a wealthy art collector and industrialist. He personally picked Austrian architect Josef Hoffman to design his mansion. Hoffman is a founder and member of a radical group of architects, artists, and designers that was founded in 1897. Hoffman is best known for abandoning the classic design elements and styles to pursue a style that is distinctive. In particular, his creations are known for the use of rectangular blocks. These blocks are complemented by exaggerated lines and corners. The stark exterior is given a soft touch by the use of artistic window designs. The Stoclet House is the first residential project that was handled by Hoffman. Hoffman, along with his colleagues, designed every aspect of this private mansion. They took care of the smallest details down to the light fittings and style of door handles. This is to ensure that there is a consistency in the overall design theme. The interior of the house also matched the stark exterior. It is often regarded as an avant-garde approach to design wherein function dictated form. In addition to the commissioned works, there is a wide range of expensive materials that were also used for the building and design of Stoclet House. Some of them were gilded materials, leather, and Norwegian marble. To this day, the mansion remains a privately owned property, and by the Stoclet family. The mansion is not open to visitors. Why is it inaccessible? Anyway great view.